In 2004, allegations surfaced that Iran was conducting secret experiments involving "high-explosive shaped charges with an inert core of depleted uranium" to test the characteristics of an implosion type nuclear weapon. An ISIS analysis based on commercial satellite images referred to the site as a "logical candidate" for weaponization related research. Iran denied the allegations and granted the IAEA restricted access to the complex in January and November 2005. The Agency reported in February 2006 that inspectors "did not observe any unusual activities in the buildings visited," and that "environmental samples did not indicate the presence of nuclear material." However, the IAEA was unable to visit all sites it wanted to inspect, and suspicions about the Parchin site persist. The exile group The National Council of Resistance of Iran has claimed that Iran constructed a sophisticated underground tunnel system at Parchin, where weaponization work continues. These claims have never been substantiated. "UN Atomic Agency Seeks to Visit Key Iranian Defense Site: diplomats," AFP, 16 September 2004. David Albright and Corey Hinderstein, "Parchin: Possible Nuclear Weapons-Related Site in Iran," Institute for Science and International Security, 15 September 2004, www.isis-online.org. "Iran Denies any Nuclear Activity at Suspect Site Parchin," AFP, 16 September 2004; "UN Inspectors Visit Sensitive Iranian Military Site," AFP, 2 November 2005. "Implementation of the NPT Safeguards Agreement in the Islamic Republic of Iran," International Atomic Energy Agency (IAEA), 27 February 2006, www.iaea.org. "Iran-Nuclear: Exile Says Iran Expands Tunnels for Nuclear Work," National Council of Resistance of Iran, 17 September 2005, http://ncr-iran.org. David Albright and Robert Avagyan, "Taking Stock and Moving Forward on the Issue of the Parchin High Explosives Test Site," Institute for Science and International Security, 25 January 2013, http://isis-online.org. 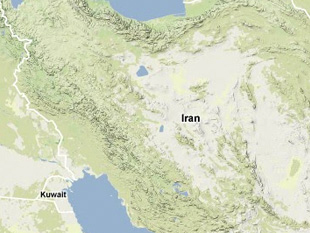 ISIS reports, "Iran Laying Asphalt at the Suspect Parchin Site," Institute for Science and International Security, 22 May 2013, http://isis-online.org; Stewart Bell, "Canada presses Iran on nuclear cover-up; Accuses regime of 'sanitizing' suspicious sites," National Post, 6 June 2013.